WHAT CAN HAPPEN IF I OVERLOOK MY VARICOSE VEINS AND SYMPTOMS OF CHRONIC VENOUS INSUFFICIENCY (CVI)? Treatments for diseased veins can be effective in eliminating the varicose veins, symptoms of CVI and preventing the condition from progressing. If left untreated, varicose veins can sometimes progress to become CVI, a more serious form of venous disease that may present increasingly severe signs and symptoms over time. Those symptoms can include ankle swelling, fatigue, restlessness and pain of the legs, skin damage and ulcers. CAN’T I JUST WEAR COMPRESSION STOCKINGS TO ELIMINATE AND SHRINK MY VARICOSE VEINS? Support stockings or compression stockings are a temporary measure that help with symptoms, but will not fix a chronic, physical problem like the minimally invasive technologies and treatments will. Compression stockings are not a definitive treatment. DON’T I NEED ALL OF MY VEINS? IF YOU TREAT THEM AND THEY GO AWAY, WHAT WILL HAPPEN? The veins that we treat are already diseased and are not functioning properly (or pumping blood). Therefore, your body has already created new, healthy veins to take over and do the work for the failed ones. Removing the varicosities actually improves your circulation by redirecting blood out of diseased veins and into surrounding, healthy veins. Over time varicose veins will enlarge and become more symptomatic, forcing many people to alter their daily activities to try to decrease the pain. In severe cases, varicose veins and venous insufficiency can cause skin damage, ulcerations and blood clots. These complications can be prevented by treating the varicose veins early. A venous skin ulcer is caused by a reflux disorder called stasis. Early signs that a venous stasis ulcer may develop include a darkening of the skin in the area of the ankle. Gradually, the skin may become leathery or waxy in appearance. Without treatment of the venous disease, the skin may break down and bleeding may occur. Almost all major insurance companies and Medicare cover the diagnosis and treatment of varicose veins. This includes the initial consultation, venous ablation procedures, and phlebectomy of large veins. Cosmetic procedures for non-systematic spider veins are not covered by insurance. Schedule a Free Leg Vein Screening to determine medical or cosmetic. All varicose veins have the potential to progress to become symptomatic, but not all varicose veins result in symptomatic disease. Many physicians discouraged treatment when vein stripping was the only option available. 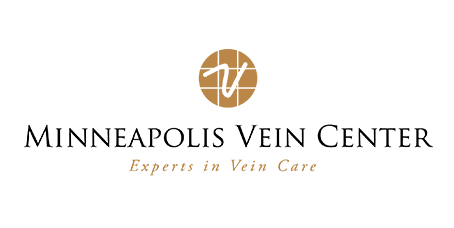 However, with minimally-invasive treatments currently available, anyone with varicose veins should consult a vein specialist to receive proper diagnosis and discuss options. Varicose veins are enlarged veins that can be blue, red or flesh colored. They are often raised above the skin on legs and look like twisted bulging cords. Varicose veins occur when the valves in the veins that regulate blood flow direction from the legs toward the heart no longer function, causing blood to pool. Often misunderstood as a cosmetic issue, varicose veins can sometimes progress to become symptomatic and a more serious condition. Spider veins, which often cover the legs, are damaged veins that appear to be similar to varicose veins, only smaller. Appearing red or blue in color and like thin spider webs or branches, these veins are closer to the surface of the skin and can spread over a range of areas. Unlike varicose veins, spider veins are typically not raised above the skin’s surface. Spider veins can be treated with sclerotherapy or laser treatment. Though spider veins may be associated with varicose veins or venous insufficiency, the issue is seen as cosmetic and treatment is generally out of pocket. Venous insufficiency is a progressive medical condition in which the valves that regulate blood flow direction from the legs to the heart no longer function, causing blood to pool in the legs and veins to swell. Healthy leg veins are designed to allow blood to flow against gravity from the legs back toward the heart. Tiny valves inside the veins open and close to help control the flow and pressure. Venous insufficiency occurs when stresses on the venous system – like pregnancy, age or standing for long periods of time– weaken the vein structure. When the veins become weakened or diseased, vein valves no longer promote efficient blood flow and blood pools in the legs. This impaired blood flow (or reflux) causes veins to expand, lose form and protrude from beneath the skin. CAN VARICOSE VEINS AND VENOUS INSUFFICIENCY BE PREVENTED? Since varicose veins cannot always be prevented, it is important to talk to a vein specialist about treatment options before the condition progresses and symptoms worsen.